Physical Therapist Assistant ~ Meg grew up in Mokena, IL, a southwest suburb of Chicago. She graduated from Volunteer State Community College’s PTA program in 2009. 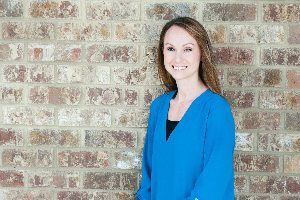 After being a part of High Pointe for a few years, Meg was introduced to the women’s health field by Jessie and immediately found she had a passion for this specialty and its patients. While Meg still enjoys the orthopedic side of physical therapy, adding women’s health to the population of patients she can treat has been amazing! Meg really loves learning as much as she can about the field and is always adding the latest exercises and approaches to her treatments. She is so happy her family is back in the area and she is honored to call High Pointe home once again! She is married to her husband of 10 years, Tim, and they have two daughters – Karsyn (6) and Hartlyn (4). Their girls keep them on their toes and make every day so much fun! When not working, Meg loves spending time with family, playing outside, joining in on the girl’s imaginative adventures, exercising and just hanging out with family and friends!